My first visit to a grass fed beef restaurant in Los Angeles is in the quaint mid-city area of Larchmont Village at a fast casual place appropriately named Larchmont Bungalow. 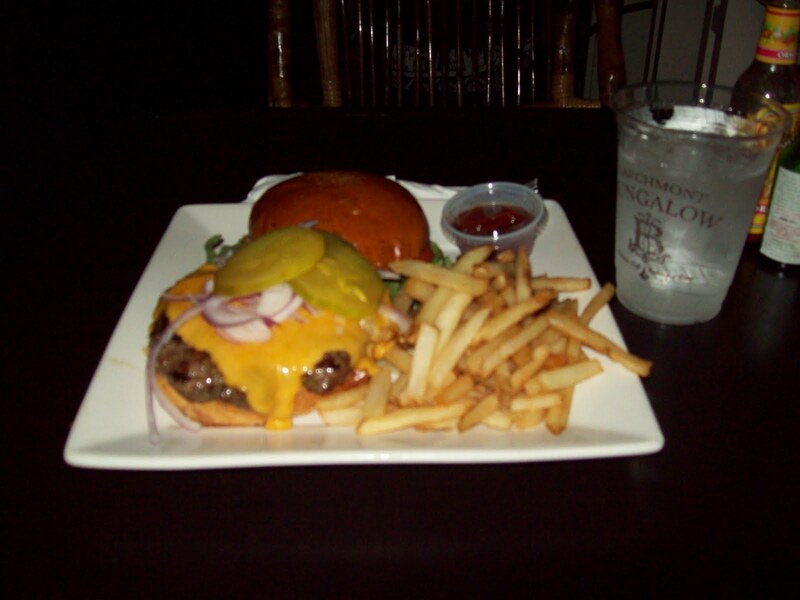 The Bungalow serves both grass fed beef and grass fed bison. For my first time there, I had to go with the traditional beef burger. I’ve been a burger connoisseur for a long time. Taking one bite into Larchmont Bungalow’s burger, I felt this is not only one of the best grass fed beef burgers I’ve eaten, but one of the best burgers in general. They’ll cook your burger to order, so I was able to actually request medium rare. The E. coli scare has been due to corn fed cows, so way more grass fed beef restaurants are fine cooking it medium rare. The quality of Larchmont Bungalow’s burger doesn’t stop with the patty supplier. Along with serving meat that’s raised in a green manner, they top it with plenty of fresh and flavorful greens. The lettuce was rich — not your typical iceberg lettuce that you’d find at a diner. They also go with the brioche bun, which no gourmet burger should be without. 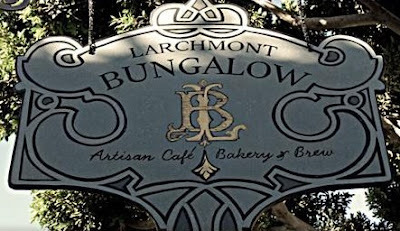 While I’m thrilled to see that Larchmont Bungalow chooses sustainable meat and food in general, I was disappointed to see that they’re not as environmental in another area. I’m talking about their use of plastics. As you can see in the photo above, the water is in a plastic cup and the ketchup is in a plastic container. The Bungalow is clearly eco-conscious as they serve grass fed beef, but they could take the extra step and reduce their waste. All in all, I’m quite impressed with the Larchmont Bungalow burger and I’ll definitely go back to try more of their grass fed meat options. But when I return, I’ll bring a stainless steel water bottle that they can fill up.